Size: 26" , 18" , 14"
It is use as Plastic skin fitting on Drum. 12" 13.6" 17.2" 19.4" 21" 23" 25" 27"
Also Available in Black colour & Chrom plated. We are a most trusted name in between the topmost companies in this business, instrumental in offering high quality array of Musical Clamp. Superior in designs and well polished, our range of viola sets with black fittings are made using high quality boxwood. Durable in quality, these viola sets assure the clients of longer working life. These sets come with black fittings that gives them a striking look. 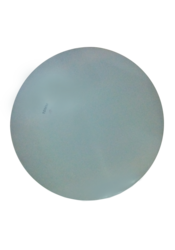 We offer top quality Double Bass Fittings. We make 2 qualities of double bass fingerboards which are grade A and grade B.
Grade A is 100% black ebony with straight grains, no defects. Grade B is not 100% black ebony. There will be curved grains as well as stripes which will be stained in black. Not just for zithers. Use these tuning pins for almost any string instrument smaller than a piano. We are only looking queries from Foreign Region. 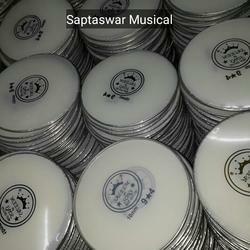 Our organization deal in best quality of Bass Mutes and we offer them to our clients. Widely used by cello players, these bass mutes are manufactured by using optimum quality ebony wood, which we obtained from the vendors of repute. These can be availed at market leading rates. Hand made, Top quality, Suede leather wrapped wooden mallet for small size (6" dia/600 gms.) to medium size (8" dia/1200 gms.) Singing Bowls. The Gramophone needles are an antique product that would be used on the old wind up gramophones to produce music / sound from the gramophone records. Being the first product manufactured by the company, it is still used by antique dealers. We design and manufacture viola parts set in different sizes. The surface of these chin rests are smooth and flat which has helped them in gaining popularity in the global market.